So excited to post this. We hate turning down weddings. We want to take them ALLLLLLL. But we need more photographers who get it. We would really love 2-3 to join our team. Let me get specific here, because I don't want to have to send back emails that are negative. ONLY positive. We do take on interns, BUT this is not for that. We are not looking for people who are learning. You must have full equipment. Please only apply if you have shot at least 5 weddings on your OWN. We will need to review a full portfolio, with FULL weddings. Must shoot natural and flash photography. Be open to learn our techniques. We will be paying on a per wedding basis. Not hiring full time or part time photographers. 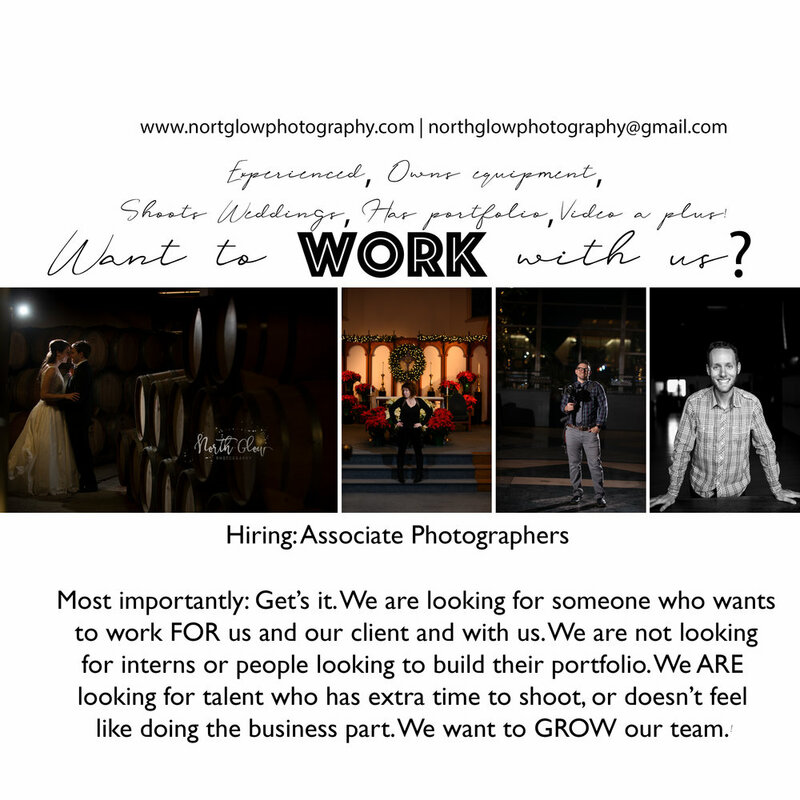 Hoping to have 2-3 photographers hired by June 1st! Excepting inquiries until May 1st. Also we are fun. I think? Right? Anybody?